The Black Dragon has returned to my garden, and this year he was generous, holding many splendid flowers. 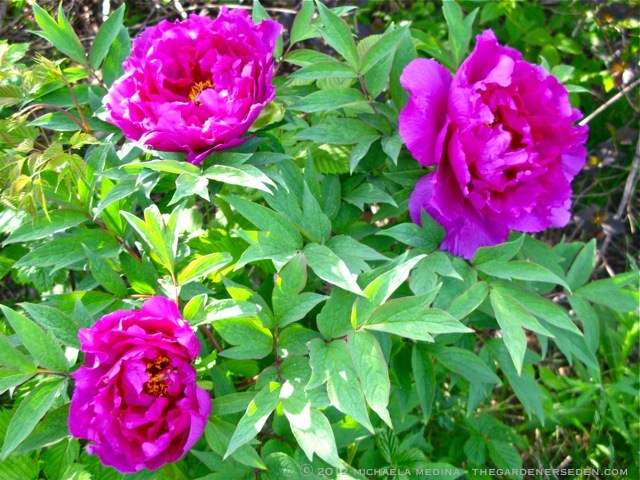 I have but a few tree peonies in my garden, and I hope to continue adding to the collection. The tree peonies bloom a couple of weeks earlier than the herbaceous peonies in my garden, and the Black Dragon is always the first to arrive. 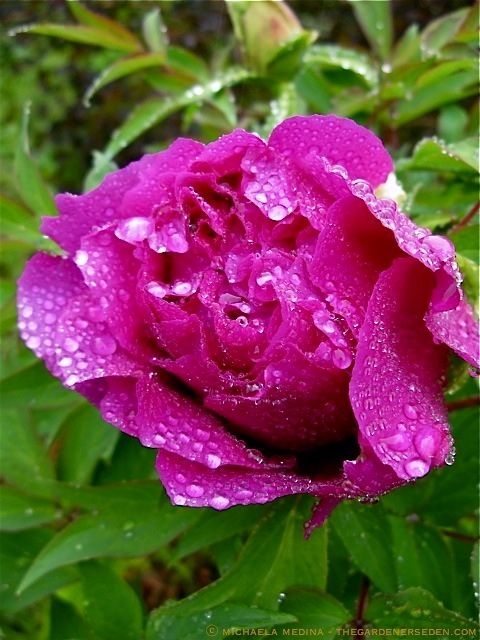 Saturated with morning dew, the heavy, delicious fragrance of this peony fills the air with a rose-like scent. 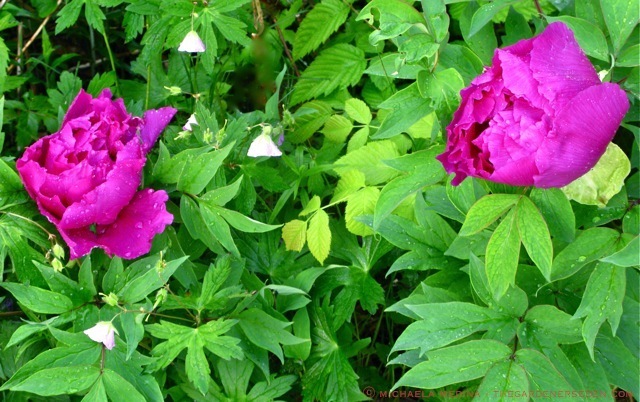 Peony blossoms are one of this gardener’s greatest pleasures. 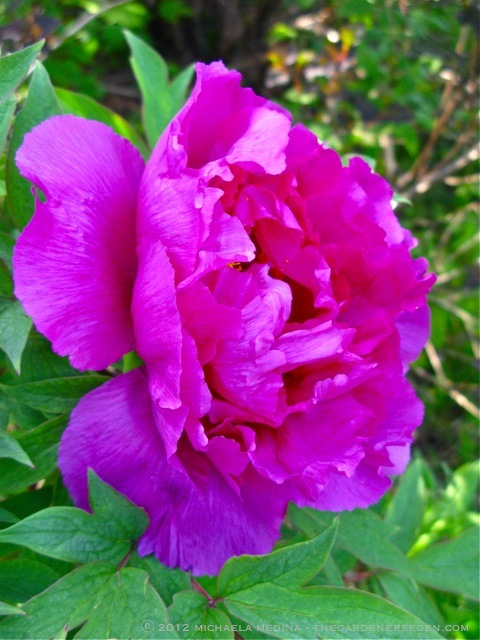 But the tree peony season is short; each flower to be savored for a few precious days. And with rain in tonight’s forecast, the petals will soon scatter to the ground. I wonder… Will the Black Dragon mind if I snip just a few of his splendid flowers, to place atop my desk? 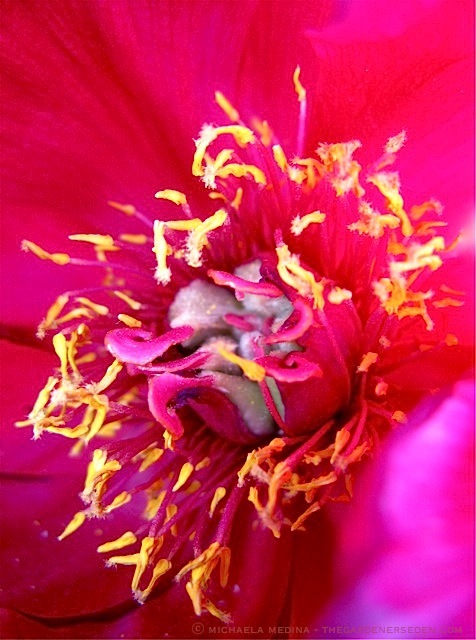 Read more about Paeonia suffruticosa ‘Wu Long Peng Sheng’ in my previous profile post, by clicking here. Words & Photographs ⓒ Michaela Medina – The Gardener’s Eden. All photographs, articles and content on this site, (with noted exceptions), are the original, copyrighted property of The Gardener’s Eden and may not be used or reposted, reproduced or reused in any way without prior written consent. 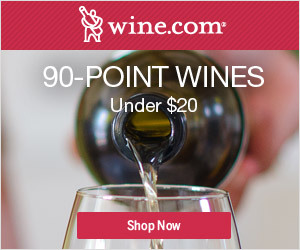 Contact information is in the left side bar. Thank you! 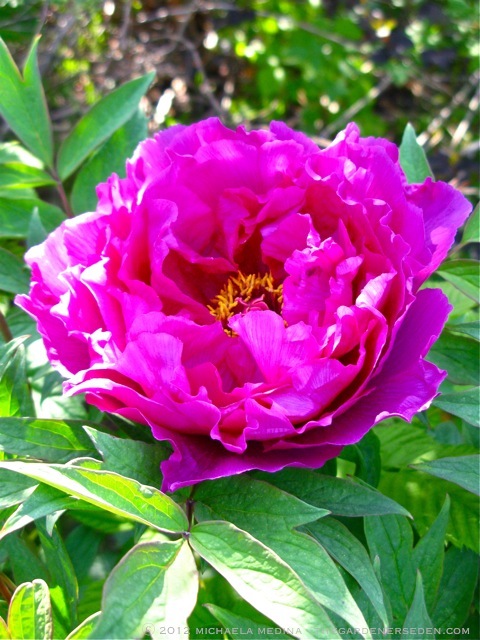 You are currently browsing entries tagged with Black Dragon Holds a Splendid Flower – Tree Peony at The Gardener's Eden.